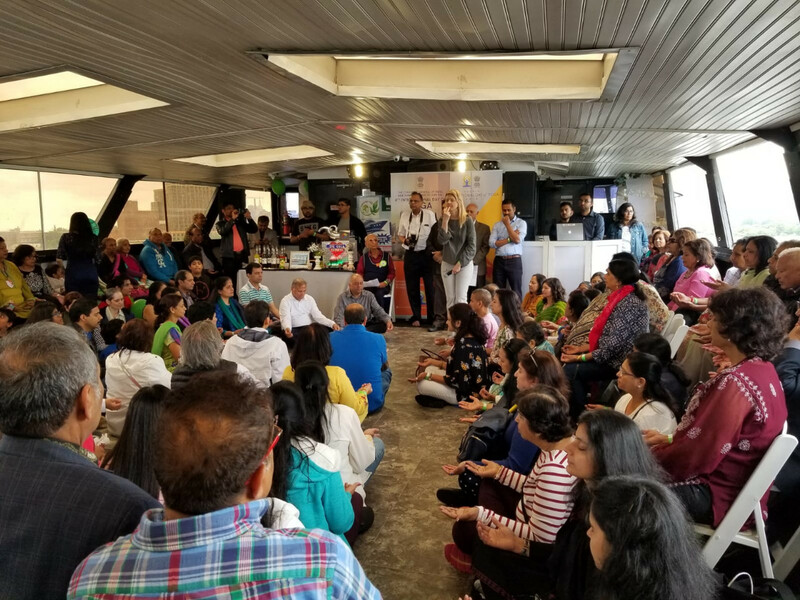 More than 400 people attended the “Yoga Cruise,” a prelude to International Day of Yoga, 2018, organized by the Consulate General of India, New York in association with Vegetarian Vision and Mallakhamb Federation USA on June 3, in New York. On the chartered “Skyline Princess” yacht, yoga-related conversations, discussions, lectures were simultaneously held on various decks with guests heartily enjoining each session. The cruise also included yoga demonstrations and performances and an innovative session on “Laughter Yoga” by Poonam Gupta. 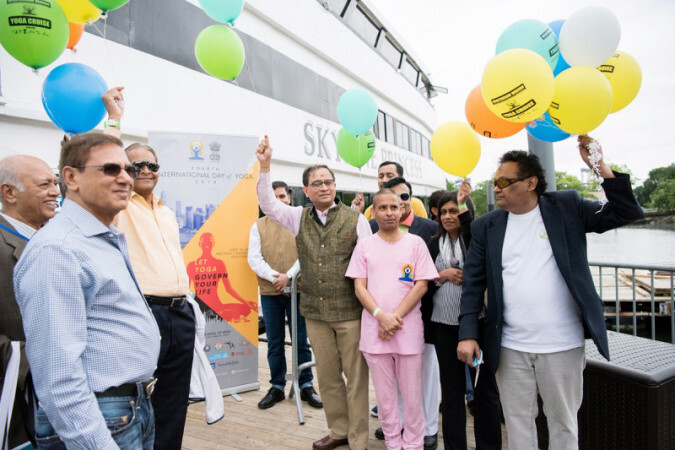 Sandeep Chakravorty, Consul General of India in New York, flagged off the yacht with the releasing of multi-colored balloons symbolizing eternal value of peace, freedom, and unity in diversity.